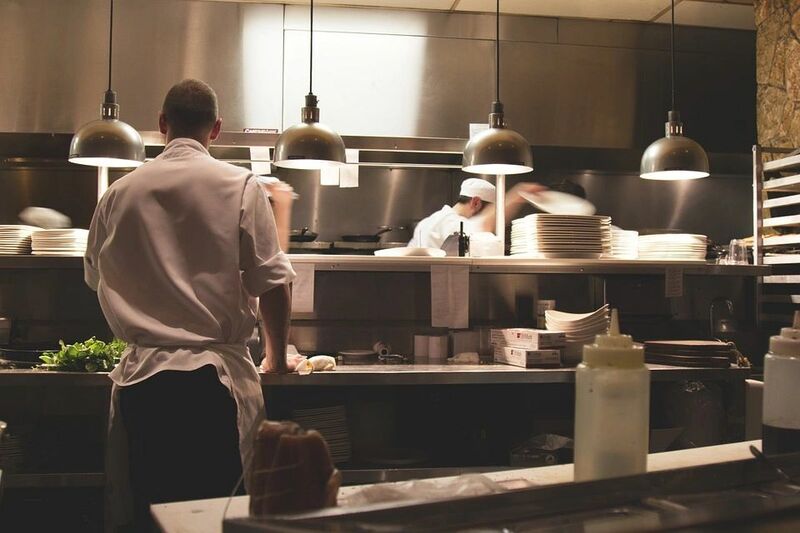 Current and former workers at chain restaurants have spilled the beans! 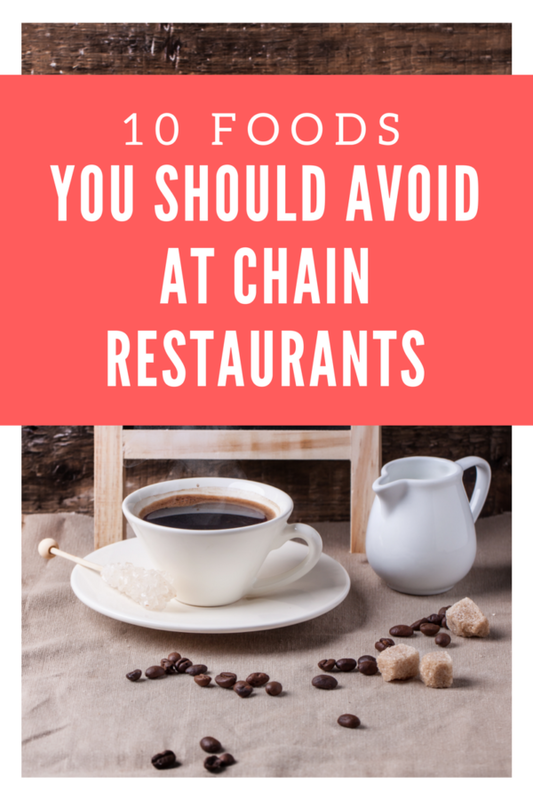 This post will list the top 10 foods you shouldn’t eat at chain restaurants. 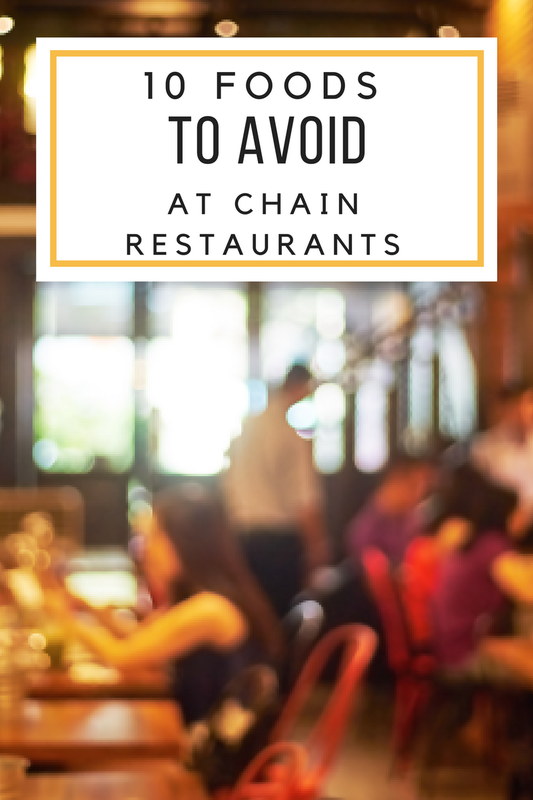 I’ll let you in on some secrets that restaurants don’t want you to know. I’ve sorted through dozens of Reddit posts and consulted with a close friend who spent her college years as a chain restaurant waitress. I’ll call her F.W. (former waitress) here for short. I want to make it clear that I’m not slamming restaurant employees or even restaurants in general. F.W. eats regularly at restaurants, but she’s a more educated restaurant consumer having waitressed through her college years. She also still has nightmares about her time as a waitress. 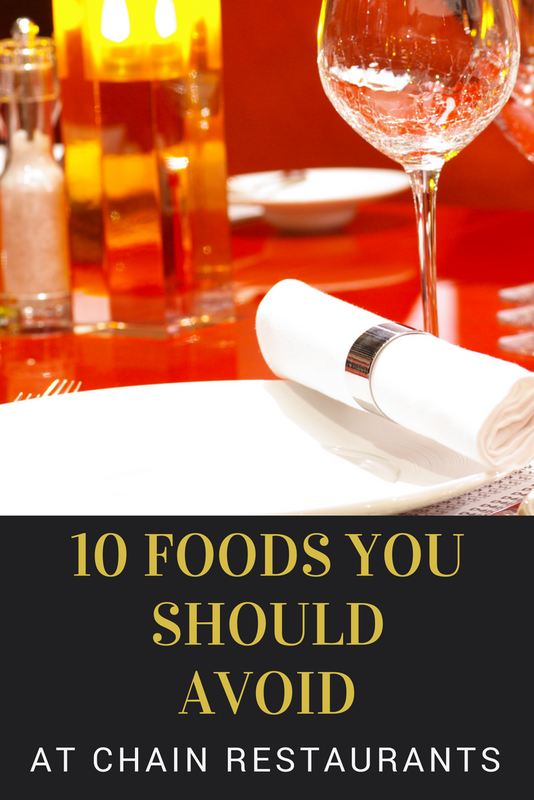 Here are 10 things you might want to reconsider ordering next time you eat at a restaurant. F.W.’s restaurant had a soft ice cream machine on the salad bar. She says that she was the only employee who could clean it properly. It had a lot of hard-to-clean parts such as tubes and O-rings and took a very long time to completely clean. When she wasn’t there, it didn’t get thoroughly cleaned. Anywhere you see a soft ice cream machine, ask yourself how likely it is that some employee is spending an hour each day taking that thing apart and cleaning each and every one of the dozens of parts involved. According to some Reddit posters, soft drink machines are also notoriously hard to clean. We all know that restaurants make much of their profits on soft drinks, since they’re wildly overpriced. Even if you get 10 refills on that Coke, the restaurant will still make money on it. They spend only pennies per serving on soft drinks. Iced tea is even cheaper for them to make. The potential for dirt and mold build-up in your beverage gives you another reason to ask for water. 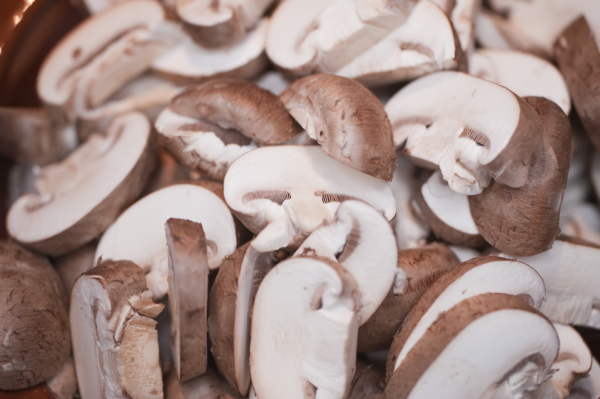 According to F.W., mushrooms on salad bars probably don’t get washed thoroughly enough. And white button mushrooms need to be grown in composted manure. I guess this doesn’t count as a chain restaurant, but I’ll cheat and include it anyway since most grocery stores are, in fact, chains. As a parent who has repeatedly had to pull back a small child gravitating toward a grocery store salad bar, I’d never buy one. 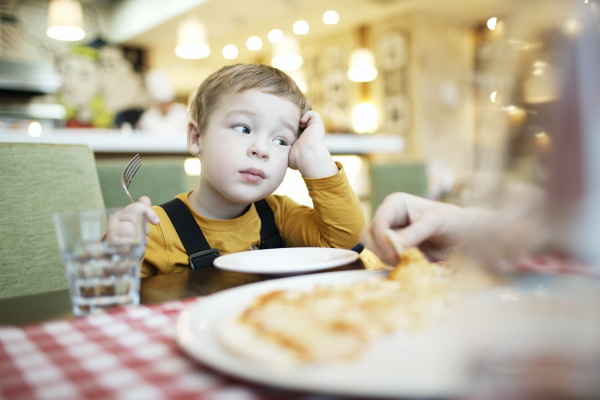 Kids see all that shiny, happy food sitting out and are magnetically drawn toward it. That’s especially true in grocery stores that offer free samples. It’s hard for kids to differentiate the salad bar from the free sample displays. My kids always were always drawn to free samples. They could eat a full meal directly before the grocery shopping trip and still want to devour as many free samples as they could find. I’ve managed to keep my kids’ germy hands off salad bars, as far as I know. But I don’t know who else’s kids might have pawed the salad bar. Parenthood has taught me that kids’ hands are the germiest surfaces on the planet. I don’t want food that’s been handled by untold numbers of kids. 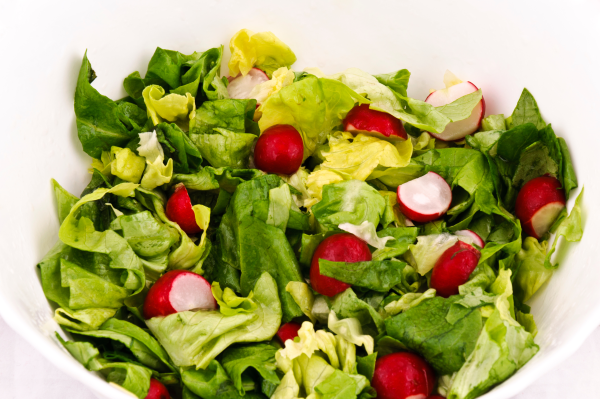 A TV station in Las Vegas tested multiple grocery store salad bars and found high levels of certain types of germs in some of the vegetables. Over the years, I’ve read in multiple places that restaurants don’t always wash the lemons before they slice them up and pop them into your water or iced tea glass. When given the choice of whether to include a lemon slice in my water, I politely decline. 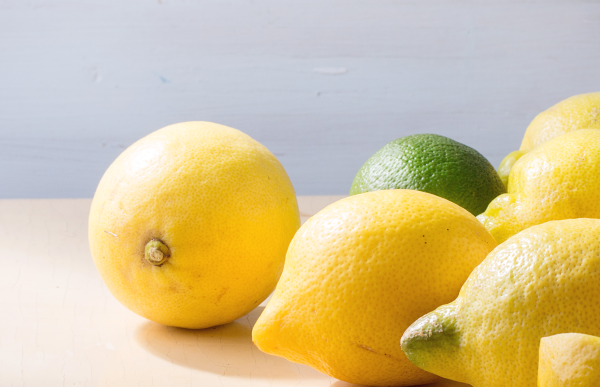 If you look at those lemon slices, they rarely even seem clean. F.W. 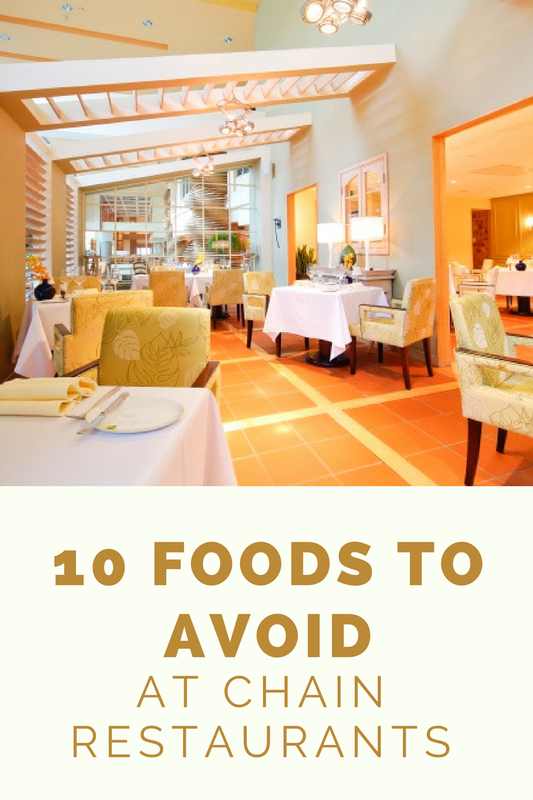 agrees that you should never put a restaurant lemon slice into your water or tea. Ask for lemon slices on the side, then squeeze the juice into your glass and put the lemon slices aside. 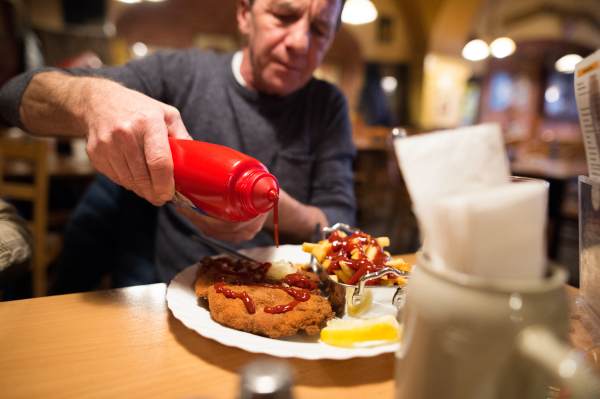 You don’t know how long that ketchup bottle has been sitting out and how many times it’s been combined with ketchup bottles from other tables. F.W.’s restaurant used color coded dots to mark how long a ketchup bottle had been in service. They regularly combined all of the bottles with a certain color of dot. If you see color coded dots on the bottles, it’s some indication that the restaurant is staying on top of how long their ketchup bottles have been on tables. This is probably less of a concern in burger joints where ketchup bottles get a lot of use. Otherwise, you might want to request ketchup packets if they’re available. Sandwiches that don’t sell very well like McDonald’s Filet of Fish might sit under the warmer for quite some time. How do you know what’s popular? While you’re waiting for your food during a busy time, check out what other people have ordered and what’s still sitting in the warmers. Look at what the cooks are assembling in the back. They’re probably making more of what people are ordering the most of. According to some Reddit users who have worked in restaurants that serve wings, those wings you order might have been sitting under a warmer for hours. 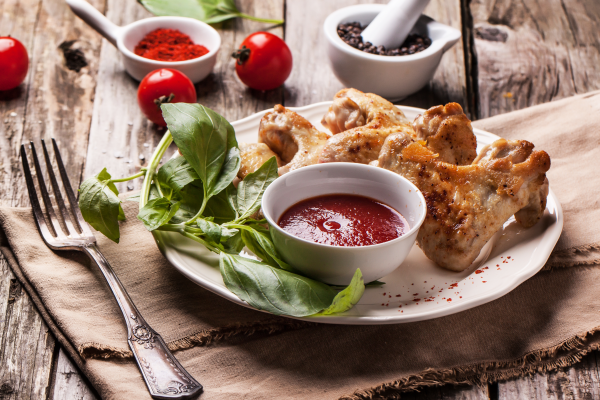 Wings take a long time to prepare correctly, so restaurants make dozens of servings ahead of time to serve during busy times. If your wings arrive within 10 minutes, they were definitely prepared ahead of time and left waiting for you to order them. Some Reddit posters claim that their restaurants cook bacon on the same grill as they fry veggies. Someone actually sued McDonald’s years ago because of undisclosed beef flavoring in their French fries. Buffalo Wild Wings restaurants were sued for cooking their allegedly vegetarian-friendly menu items in beef tallow. Vegetarians don’t seem to have any way of ensuring that their meals weren’t exposed to animal products, other than having their meals in a vegetarian restaurant. Metal straws are super hard to clean, so you don’t know what kind of gunk might be built-up on the inside. Ask for a disposable plastic straw instead. Some restaurants kindly provide real dairy creamer for your coffee. For folks who don’t use cream, the dish of creamers sits on the table unrefrigerated for however long it takes the diners to eat. According to F.W., unused dairy creamers go back in the fridge to use for the next table that orders coffee. Whatever that table doesn’t use also goes back in the fridge. By the time you use a coffee creamer, it might have sat out for an hour or two and been put back in the fridge several times. F.W. 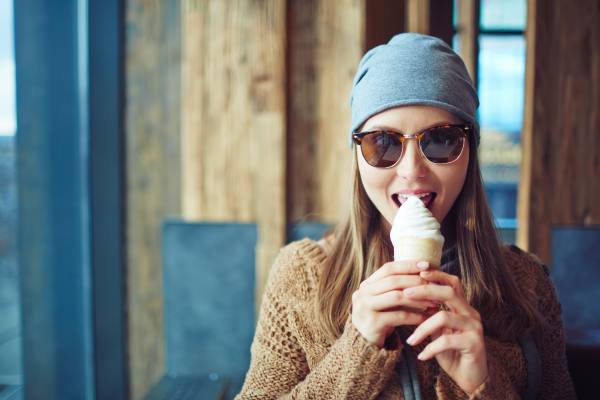 recommends using non-dairy creamers that don’t require refrigeration instead of milk products. Not all of the above items apply to all restaurants. 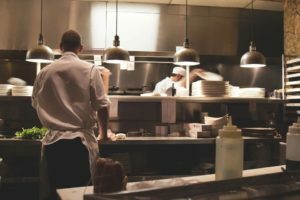 Some Reddit users who have worked at various fast food and fast-casual sit-down places speak highly of the cleanliness and organization of their restaurants. Much of this depends on the management and ownership of a particular restaurant. Of course, unless you know someone who works there or has worked there, you’d have no way of knowing how clean and well-run the establishment is. None of this means that you shouldn’t eat out or that you should think restaurant food is basically unsafe. If you eat out a lot and rarely experience digestive problems, whatever you’re eating must not be cause for concern. If you do experience vomiting and diarrhea, it’s hard to figure out which meal caused your illness. It’s not always the one you ate most recently. In addition, incidences of known food-born illness have remained relatively stable. That doesn’t seem to indicate that people are keeling over from their restaurant meals, especially since people are eating out roughly as often as they did a decade ago. I had a bad experience with Refrigerated Coffee Creamer and Bottled Catchup and I totally avoid both of these. And yeah it’s a nice share Beth, thanks. Nice share beth, thanks for your tips. and I never ask for a disposable plastic straw instead. Thanks for sharing this. I also do not like eating mushrooms. So you say if you eat outside eat good things.